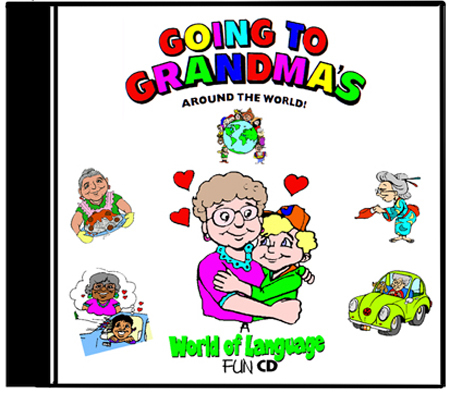 The ultimate ode to grandparents! “Grandma, Grandma, I love you! And don’t forget my Grandpa, too!. . . ” Kids sing the Grandma song and learn to say “I love you Grandma (and Grandpa) in German, French, Italian, Hebrew, Japanese, Arabic, Polish, Spanish, Hungarian and Russian, and learn about grandparents around the world!